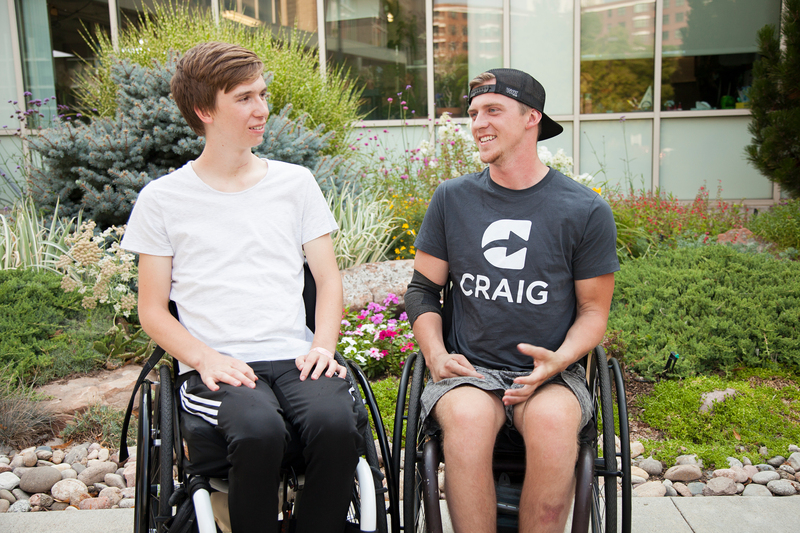 The mission of the Peer Mentor Program at Craig is to foster connections between people in the community living with spinal cord injury and/or brain injury. After medical care and therapies, there can be a gap into the unknown for individuals who are re-entering the community. A peer mentor can bridge that gap by providing insight into what life may look like in the community and share stories of their life experience to offer a glimpse into living with a disability. Working with a peer mentor may provide the opportunity to collaborate with someone in a similar situation to achieve a well-lived life. To be paired with a peer mentor you must be a current patient, an individual living with spinal cord and/or brain injury, a family member and/or caregiver of a current patient or person living with spinal cord and/or brain injury. Peer mentoring can look different for everyone and matching is based on similar interests, experiences, home life and shared needs/goals. A staff member will ask questions about your injury, personal interests and stage of life information to find the best peer match for you. Current inpatients at Craig can also discuss their interest in being matched with a peer by talking with any member of their medical team. To be matched with a peer mentor, email peermentors@craighospital.org or call303-789-8017. If you are on-site at Craig, visit the 4th floor Peer Program Office (directly behind the nurses station). Peer mentors will benefit in knowing that they shared insight, guidance and support through a very daunting time in a person’s life. It’s a win-win situation. Peer mentors are people who have completed all required peer mentor training for this program and volunteer as a support system to others with spinal cord and/or brain injury, family members or caregivers. Peer mentors can live in the state of Colorado or out of state. Peer mentors in the Denver-Metro area will be matched with peers at Craig and others in the nearby community. Peer mentors outside of the Denver-Metro area will be matched with patients returning home in close proximity to their community. To become a peer mentor, contact a Peer Mentor Program staff member at peermentors@craighospital.org or call 303-879-8017. If on site at Craig, visit us in the 4th floor Peer Mentor Program office (directly behind the nurses station).